Today, like pretty much every day, was just 'one of those days.' I had a sick kid home from school, the laundry room was backed up from the 3 day weekend, piles of papers that I was sorting through (or meant to anyway) cluttered the counter, but I was determined to practice my violin. Trying to keep that New Year's promise to myself of practicing more consistently, I set my timer for 20 minutes and tighten my bow. For some reason I often think of tightening my bow to be the equivalent of lacing up my running shoes, and inevitably the "Rocky" theme music begins to play in my head. 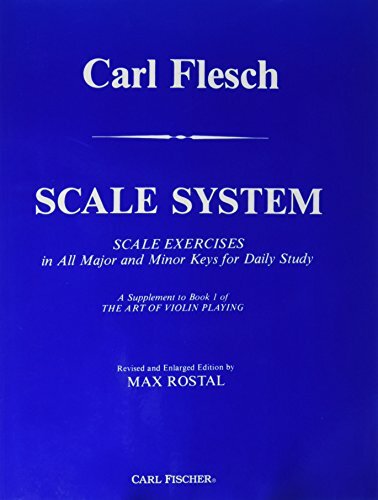 Feeling pumped, I grab my Carl Flesch scale system book and hit start on the timer. Out of the gate, I am running my fingers up three octave scales with the metronome keeping my time. Adding notes per beat with each repetition, my aim is quicker lighter speed. I keep my breath relaxed and focus on my intonation. My son races toy cars back and forth in front of my feet, I watch him but my ears are focused....I'm listening for matching octaves and even bows, I'm listening to make sure my notes are in sync with the beat. For 5 minutes E major scale consumes my hands and head. Without much thought I transition into arpeggios and let my bow slow down. Staying relaxed I turn my focus towards clean light shifts. Arpeggios give variety to scale practice, I can almost feel my moods change with every new arpeggio. Arpeggios keep up my confidence in position work, and shifting. I remind my back to straighten but not strain. Everything is relaxed and I breath. Arpeggios are yoga for my fingers and mind. My son is bored with cars, without skipping a beat I hurry to the art cupboard and pull out coloring supplies. He is happy and so am I. Racing back to my music stand I trade Carl Flesch for William Starr. 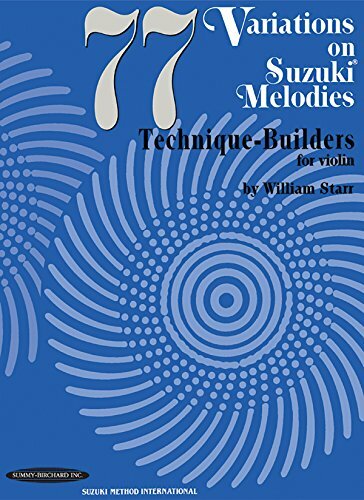 Starr's amazing book is filled with variations on Suzuki Melodies designed specifically for improving techinique in vibrato, double stops, chords, finger action, and bowing techniques. Today I choose Vibrato. Using the reflection of my window, I watch my hand to make sure it is moving in an even, relaxed, wide, slow vibrato. I play half notes and focus on the ending and starting of each note. I play through the simple 2 line song once. The second time through I play light with my left hand and heavy with my right hand. My brain is challenged to divide it's power so unevenly. Checking my timer, I have 7 and a half minutes left. Just enought time to run through the 2nd movement of the Franck Sonata. I play through the movement like I would perform it. Dynamics and intense vibrato lace the powerful swells and romantic mood swings of this piece. I picture myself performing it and my adrenaline surges. I finish and my timer beeps 10 seconds later. I'm not sweaty and puking in a bucket like you might see after a 5k but my heart is racing and I feel amazing. I glance at my son, he is still coloring on his paper and not the table or walls....I count that as a double win. Whatever time you have to practice today is enough for today. When life hands you craziness, set your timer for 20 minutes and tighten your bow, you'll be glad you did...always! Here's an example of how I divided my 20 minutes. It has worked pretty good for me. Feel free to modify to fit your needs. Disclaimer* I didn't include the minute it took to get the crayons out for my son. There were also a couple of moments here and there that I had to fish his car out from under the counter for him, that's just life.